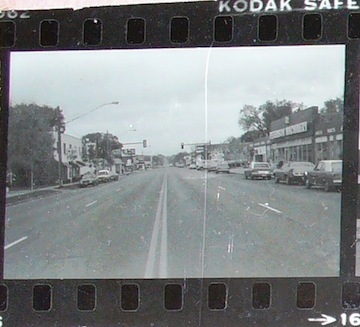 As a child of two parents who grew up connected to Lake Street, so was I. 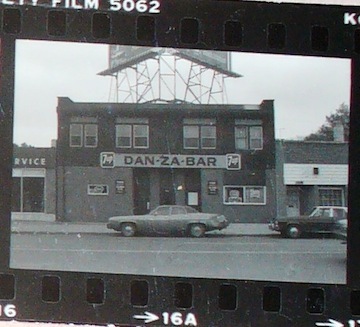 It was the elastic band that stretched to accommodate life in South Minneapolis and it seemed as if life couldn’t have existed without it. For nineteen years my life Lake Street was a mainstay. Even the events leading up to my life revolved around Lake Street. My Polish grandfather, my mother’s father, worked at Minneapolis Moline, a tractor factory that once consumed acres at the intersection of Lake and Minnehaha. The man who was to become my father worked at Sears on Lake and Chicago. We lived two blocks from Lake Street. My grandmother, a half a block and an aunt and uncle just two blocks as well. My elementary school was one block off of Lake Street as was my high school. 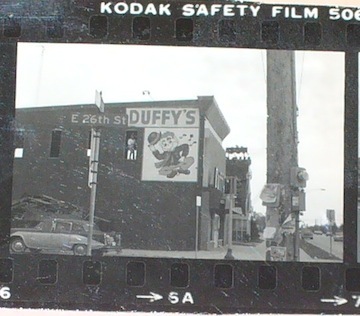 My dad had his film developed at a camera shop on 27th Avenue and Lake. We’d wait nearly two weeks to see the results of snapshots taken with his Kodak Instamatic. In the same building there was a department store and a ballroom. Our bank was on this block. Woolworth’s was on the same block. Across the street was the Town Talk Diner. It was the only sit-down restaurant for miles in any direction, though there was a drive-in on 21st and Lake. Kresge’s on 20th and Lake had a lunch counter. But 27th and Lake, with all of it’s riches was a a world away, nine blocks away from our section of Lake Street. 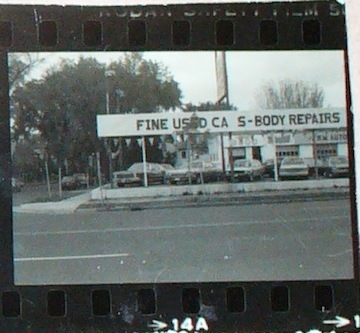 At the intersection of 36th Avenue and Lake were the smaller businesses that served us. The grocery store, the drug store, the bakery, the flower shop, the hardware store – all referred to as “the” because these businesses were, at the time, the sole providers. 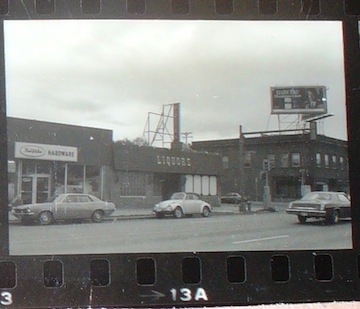 Lake Street was also the last street south on which a business could get a liquor license. Mixed in with everything else were bars – neighborhood gathering spots which my surrounding family never frequented. They weren’t taboo, it’s just that my dad’s consumption was limited to a PBR on the back porch after he cut the grass. A decade later most of what remained of my mid-70’s childhood were the ubiquitous bars. The addition of a second car and working mothers gave physical and financial access to larger, nicer and newer businesses further away and thus the decline of what were completely self-contained neighborhoods. A long-time friend from my neighborhood captured these images in 1983 and recently sent me the scanned images. Lake Street looks much the same today. Oh wow, I’ve been there too! Lake St, particularly the stretch east of the light rail line, has a compromised urbanity: this stretch has urban blocks, but car lots and parking lots are too common and there aren’t even sharrows in the right hand lanes, not that that stopped me from biking down and photographing this stretch. Unfortunately, the power source for that notebook was fried and I can’t retrieve those files. So here are streetview pics to compare and I have to say it has improved from what’s pictured above: there’s even some dense infill here and there. East Lake has seen a lot of change in the past ~7 years. Longfellow Market (a grocer) has replaced the whole Peterson machinery block including riverside clubhouse. 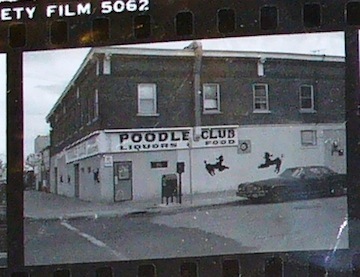 The poodle club burned down and is currently vacant. 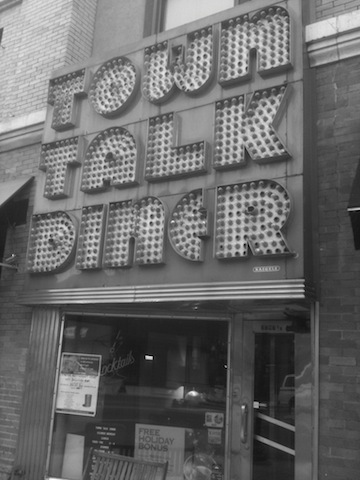 The town talk closed and re-opened as Le Town Talk Diner and French Drinkery. The kept the sign. Sonora grill opened in the former Molly Quinn’s and an outdoor clothing repair shop Repair Lair opened next door. A new restaurant Peppers and Fries is opening in the former SA. There is a rumor that Walgreens is going to move across 32nd ave into the native academy building (a construction trailer is in the parking lot..). Zeke’s unchained animal moved in next to the church in the former theater. Merlins Rest is a British bar next to True Value at 36th Ave. Hymie’s moved east to 39th. Forage modern workshop, Prairie woodworking, Dogwood coffee, Leviticus tattoo, Craftsman, Longfellow grill (and the condos/other retail nearby). Himalayan (Nepalese food) replaced Kong’s. T’s Place, Midori floating world cafe, Gandhi Mahal.